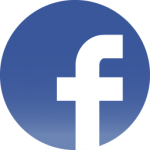 Have questions about the 16th Infantry? The Association? Looking for a buddy? Do you have a story about the regiment you would like to share, or a recommendation on how to improve our website? Please provide us your feedback here. My Cousin was PFC Robert A Tremaine who was a member of Company G 16th Inf. and went ashore with Captain Joseph Dawson at Omaha Beach on D-Day. He was KIA but I haven’t been able to determine if he died at Omaha Beach or at Colleville Sur Mer. Any information would be appreciated. Your cousin, PFC Robert Tremaine, was killed in action on Omaha Beach on D-Day. As the current Adjutant of the 16th Infantry Regiment Association, I thank your family and you for reminding us of your cousin’s sacrifice for freedom. It is our mission to make sure all of our members are honored because of their heroic service. Feel free to email me at any time. My cousin, Pvt. Francis D. Shealy, 16th Regiment, 1st Infantry Division, was killed on D-Day, June 6, 1944, at Normandy. Recently, I learned that he was awarded the Silver Star. His only surviving sibling doesn’t have any of his service records. I am very interested in getting a copy of the award citation. Any assistance and guidance in locating his records, and especially the citation, would be greatly appreciated. Thank you for contacting us about your cousin. I currently serve as the Adjutant for the 16th Infantry Regiment Association. Unfortunately, I have come to learn that awards for heroism were often presented when the units were pulled from the front lines for rest, and in many circumstances paper records were not generated or were lost in the fire at the National Personnel Records Database in the 70s. Do you have any other information on your cousin, PVT Shealy, such as his company and battalion? We have three WWII veterans remaining according to my record, two of which I just saw this morning (4 AUG 2018) at our annual reunion. I may be able to see if they recall his posthumous award; however one of them is in the same boat- he was critically wounded on Omaha and woke up with a Silver Star pinned, but no certificate. Luckily he has a letter from the commander and we have been working with Congress to get the award certificate. Does your family have any record of a letter from his commander? I have a journal that my great grandfather wrote while assigned to A Company, 16th Infantry Regiment. His name was William Shell and he served during the Indian Wars, at San Juan Hill, at Santiago and in the Philippines. The journal is basically a TOC log and seems to involve daily happenings, training exercises and troop movements associated with later postings in New York as far as I can tell. The journal starts in April of 1901 (i’m still trying to decipher it…) It appears to have been passed around and entries were made by various people. Being an amateur (but enthusiastic) historian, I would like to share the contents of this journal for historical archive purposes. If anyone knows of a mechanism to do that I’d appreciate the information. It is very specific with many names of regimental troops and their movements with dates and times. 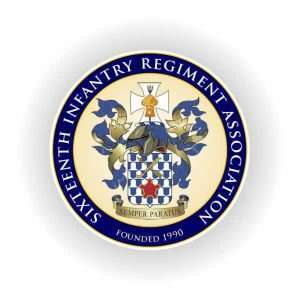 I am currently serving as the Adjutant for the 16th Infantry Regiment Association. I am enthused to hear that you are in possession of some incredible history of the Regiment’s combat service. My father in-law Elwyn “Chip” Nephew passed away in 2094. He served with D co. 2/16th in RVN in and around Le Khe in 1967. WIA, 17 October 1967. I was hoping to find anyone who may remember him. Also interested in the actions of the unit on that particular date. They have a website you may be able to better find friends who may be able to recount his actions on that day. We had our annual 1st Infantry Division Reunion this week in Chicago, I hope you can find one of his buddies. On November 13, 2017, (30 days ago) we lost a great person Fred Burgan A Company 2nd Bn, of the 16th Regiment who served in Vietnam 1966/1967. We are deeply saddened in the loss of Fred, who was a leader, an inspiration and catalyst recognized by his family of Army buddies. God works in mysterious ways, and I having an extra day to visit him on this past Veterans Day, made it more meaningful to Fred and me in his last few days. Fred you will always be remembered….. I am trying to find information about a Pvt. Paul Krug (R-648665) that escorted the body of Nurse Annie Williams back to be reburied in Fredonia, New York in 1921. He traveled from Hoboken, New Jersey on June 1, 1921 on the New York Central Railroad and arrived in Fredonia on June 3, 1921 and returned on June 4, 1921. My Grandfather, Edward Leo Myers participated in several major U.S. engagements of WWI while in the 16th Regiment. He fought in Cantainy, Soissons, Battle of Saint-Mihiel, and the Meuse-Argonne Offensive. All of these offensives had great historical importance as they marked the Allied Counter Offensives to the German Spring Campaign of 1918. The counter offensives eventually ended the war. In addtion, Edward was in the 16th Inf. part of the 1st Division known as the “Big Red One”. On 3 November 1917, while occupying a section of trenches near Bathlémont, the 16th Infantry became the first U.S. regiment to fight and suffer casualties in the trenches during World War I when it repelled a German night raid. (Edward had not yet arrived for this engagement) In the months that followed, the 16th Infantry would sustain even more casualties in defensive battles at Ansauville, Cantigny, and Coullemelle. The regiment’s first major attack was made during the bloody three-day drive near Soissons in late July 1918. Along with the rest of the Big Red One, it relentlessly attacked until a key German rail line was severed forcing a major withdrawal of the enemy’s forces. The regiment also participated in the First U.S. Army’s huge offensive to reduce the St. Mihiel salient in September. Arguably the regiment’s most gallant action was the grueling drive that liberated the little village of Fléville in the Argonne forest region on 4 October 1918. This feat was significant in that the 16th Infantry was the only regiment in the entire First Army to seize its main objective on the first day of the Meuse-Argonne Campaign. To this day that action is celebrated annually during the 16th Infantry Regiment’s Organization Day. Interesting History: He was wounded on October 5, 1918. He was listed as being gassed in the eyes, throat and scrotum. Received a Purple Heart in 1932. Your comments are most helpful. My great uncle, Mike Kalember, was a 1st Sgt in K Co, 16th Reg, 1st Div during WWI. He fought at Montdidier Noyon, Aisne-Marne, St Mihiel, Meuse-Argonne, and the Defensive Sector and he also has a medal for the Army of Occupation (Germany). He died in 1963 when I was a little boy and, before he passed, he gave me his medals and asked that I not forget him. I never have forgotten him and a few years later (2018!)…. I’ve decided to find out more about the American role in the war and my great uncle’s role in particular. ‘Trace his steps, as it were, as much as possible. So far, I have a photo of his tombstone at Arlington that revealed his rank, company, etc., his medals that include the list of battles noted above, a purple heart and a silver star w/ two oak clusters. I also know from family lore that he was decorated by Gen. Pershing, personally, for silencing a machinegun. When he and his men were pinned down, he alone got behind the machinegun emplacement and shot dead 18 German soldiers to successfully capture the gun. There was an article in an old unknown newspaper that said as much, but that has long disappeared. To date, that’s all I know. There’s a lot of flesh to put on those bones and I’m hoping that this Web site will be helpful. I’d like to document the entirety of his service, dig into the military archives and try to see things from the trenches. A/2/16: A group of guys served in Vietnam in 1666 and 1967, We just had our 20th reunion with our “mortar platoon” . If anyone was there during that time in our company, we would love to hear from you.